It's no secret that Fall is my favorite season and that I am ready for the colder weather to get here! 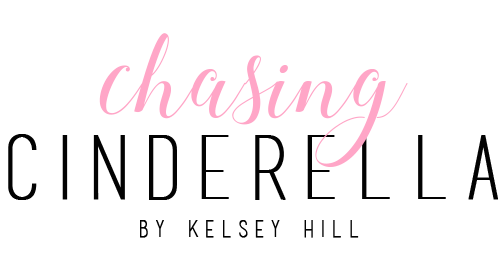 With fall being right around the corner for some of you (a little longer for us down south), I wanted to share 3 trends that I believe you'll be seeing a lot of.. At least from me! Ahhh this made me so excited to see your fall style! 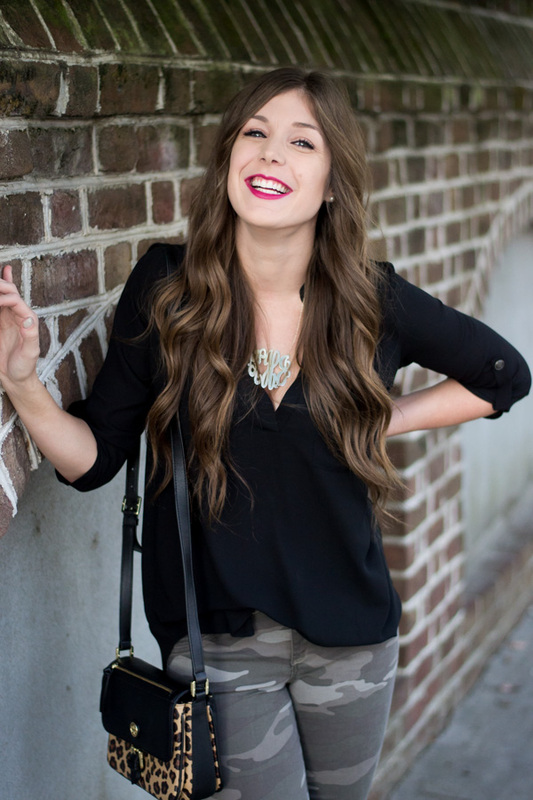 So many fun pieces for one of my favorite seasons to style. I love me a good blanket scarf!! I also definitely want to try and get a couple camo pieces for the fall. This post has me so ready for fall! I love blanket scarves and plaids. I can honestly tell you've that I've never been much of a fashion hat person. I'll wear a baseball cap any day (especially on bad hair days), but I really want to start expanding my hat wardrobe! 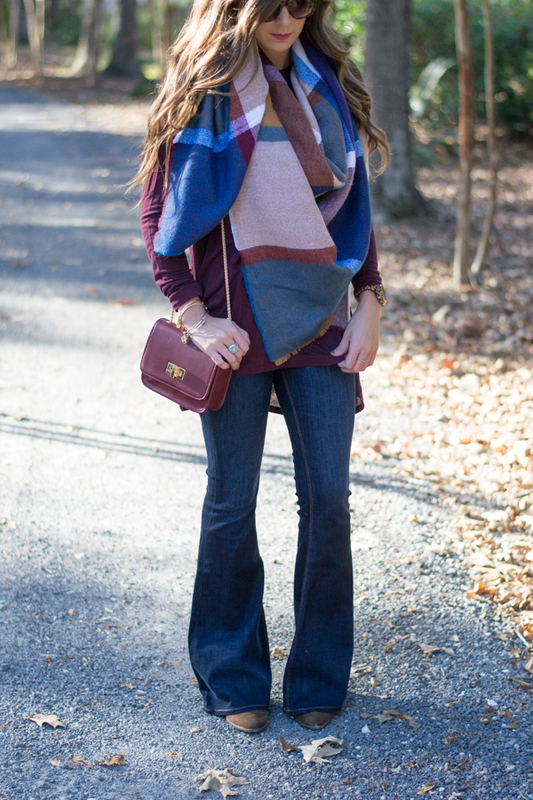 I love the blanket scarves! I snagged one last fall at a clearance sale and love it! I might need to rock the wool hat trend too. I am so ready for fall! I am loving that camo is a trend this year! It has to be my favorite of the three! I can't wait for fall! 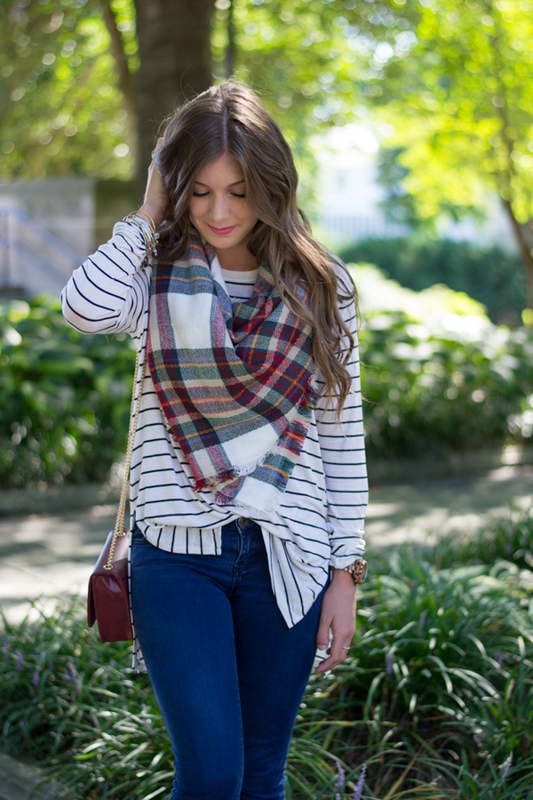 Love a good blanket scarf! I absolutely love the blanket scarves (although I don't get to wear them much in Florida) and the camouflage look. I have been wanting a blanket scarf for forever! I guess I will have to get one now! I love all 3 of these trends! The blanket scarf is definitely my favorite, I used mine last year so many times. I adore fall too and I can't wait for fall too! 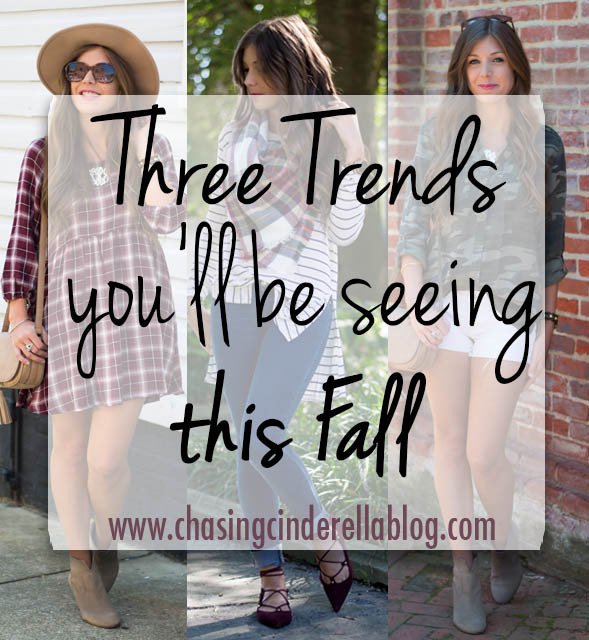 Your look are great fall transition looks! I am SO ready for fall! 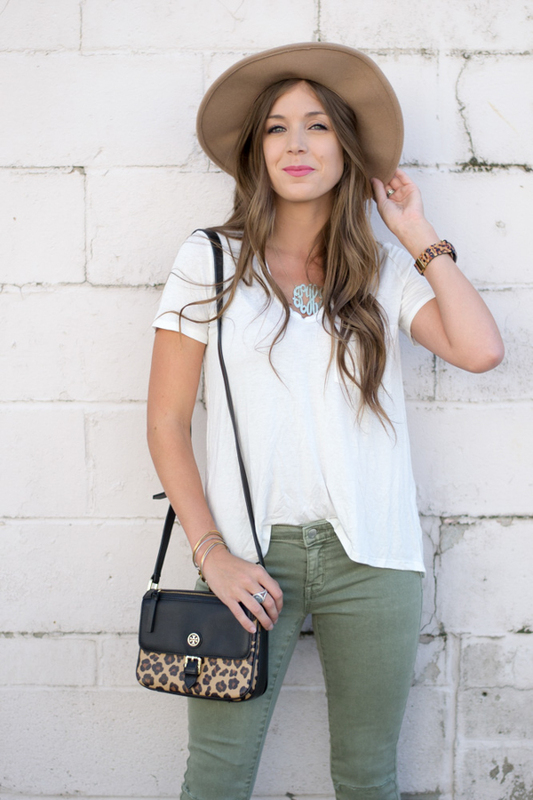 I love all of these classic trends! 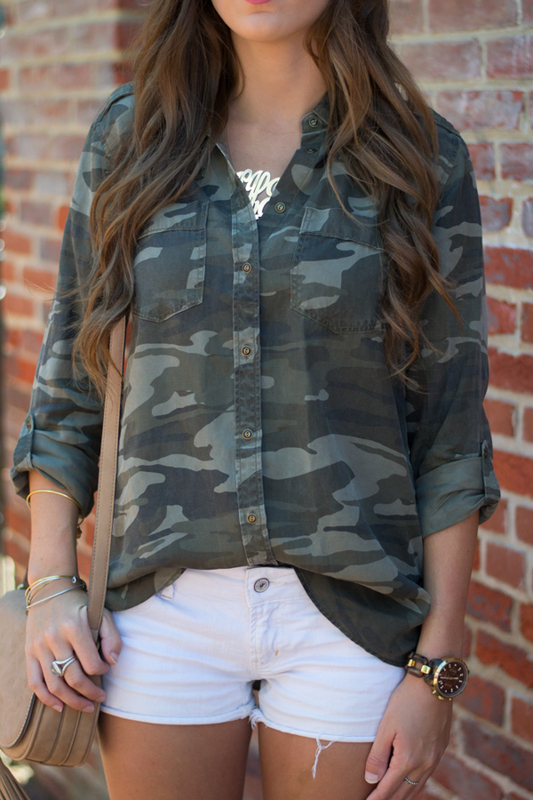 Yay for the camo trend still kickin' it! And gah I wish I could pull off a wool hat, they're so cute on you. SO excited for fall fashion! I lovelovelove blanket scarves. And those camo pants are so cute! I thought that camo was coming back! This post has me so excited for fall! Loving all the trends this year. You styled them perfectly! Fall dressing is so fun! Can't wait for layering.